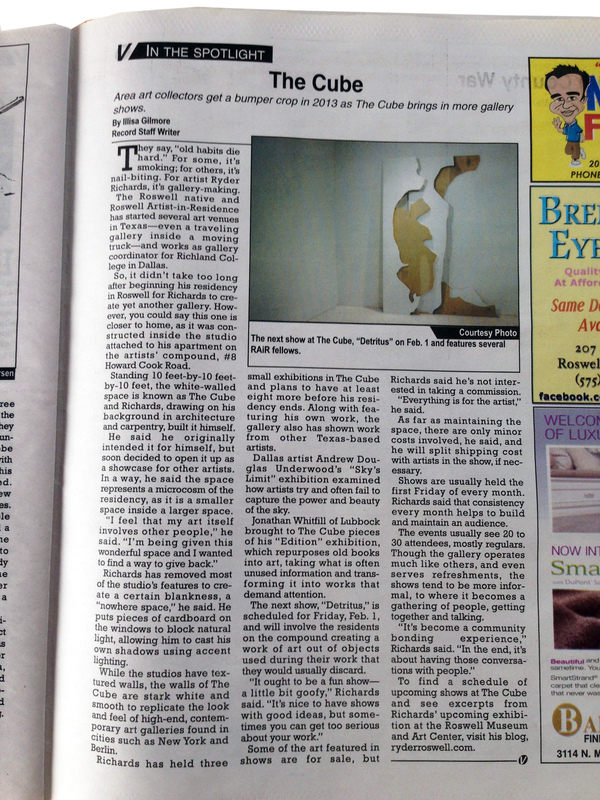 The Cube, a bit of a whim that has turned into a functioning gallery, has garnered some attention in Roswell. Many thanks to Rey Barrones and Illisa Gilmore at the Roswell Daily Record for taking an interest in the project. 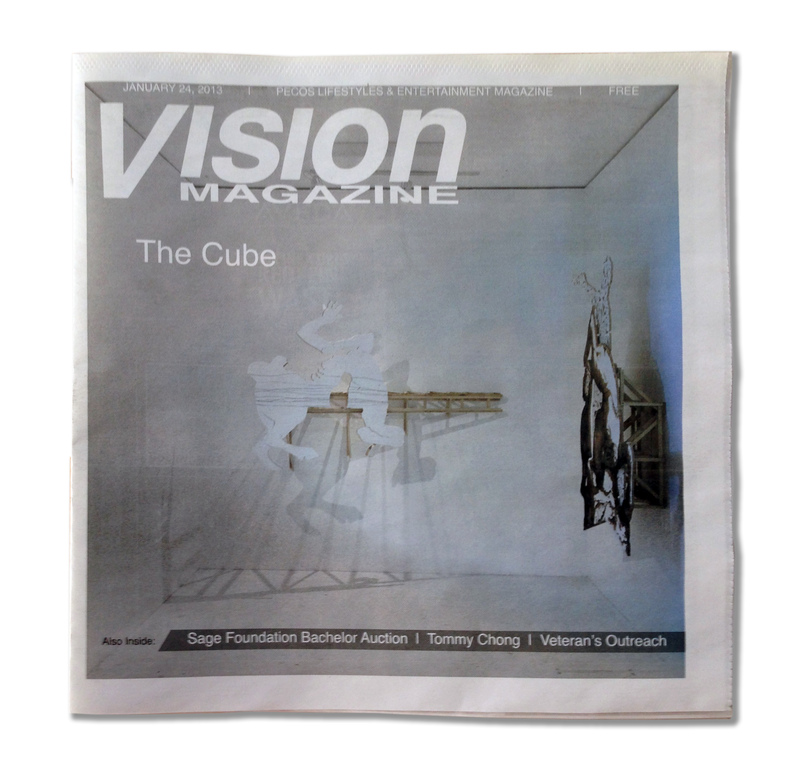 You can find images and the article in the Januray 24th publication of VISION MAGAZINE. Our upcoming exhibit is Detritus. Join us on Friday, Feb 1 if you are nearby. 25 Jan	This entry was published on January 25, 2013 at 6:19 pm. It’s filed under Press, The Cube and tagged gallery, press, roswell, roswell daily record, ryder, the cube, vision magazine. Bookmark the permalink. Follow any comments here with the RSS feed for this post.